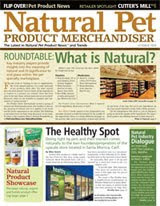 Before October ends, we need to thank Pet Age, Pet Business and Pet Product News for featuring our products this month. We appreciate the coverage, small businesses like ours depend on it, actually. It makes us feel like we're running with the big dogs! Thanks again to all of these excellent and informative publications. 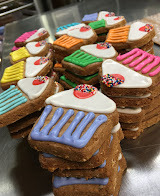 Thanks Zootoo for listing our Haunted Halloween Gingerbread Doghouse as the #1 "purrfect" Halloween treat! We appreciate the shout-out. Happy Halloween. The National Pit Bull Awareness campaign is a nationwide effort to bring positive awareness to the American Pit Bull Terrier. In early 2007, Bless the Bullys introduced the idea of a national "pit bull awareness day," and it took off like wildfire. Devoted pit bull advocates jumped on the opportunity to participate in the first of its kind nationwide initiative to bring about positive pit bull media attention together on one day. The need for a national day of awareness is clear... In light of the constant negative media publicity and sensationalized hype that surrounds pit bulls, Pit Bull Awareness Day was established as a day to focus on these incredible dogs and their devoted, responsible owners. As breed advocates, it is our duty to show the public that all pit bull owners ARE NOT alike. As responsible pit bull owners, we can no longer be willing to sit back and be judged, discriminated against and criminalized by the image set by the visible minority of irresponsible owners. The media berates our dogs daily. Legislators have labeled pit bull owners as the "criminal element" who only own pit bulls to enhance their macho image. The time has come to set the record straight, and the National Pit Bull Awareness Day campaign is just the place to start. Want something fun to do after the halloween revelry? Come to Clos Pegase Estate Winery in Calistoga on Sunday, November 1st for the Weim Country Gala. We'll be there with bells on and treats to sample and purchase.